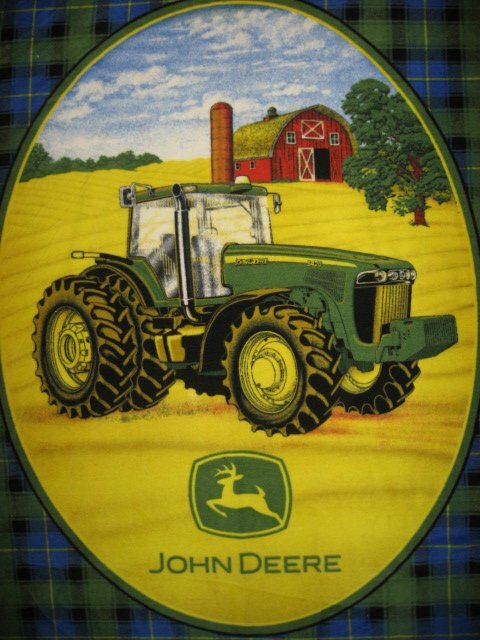 Quality soft antipill plaid fleece blanket throw depicting a John Deere tractor. Brand new handmade antipill fleece blanket made with Licensed John Deere fleece.Pretty blue and green plaid around the oval. This fleece blanket throw measures 60" long by 49" wide. This is single thickness. The words are mirror image on the backside.